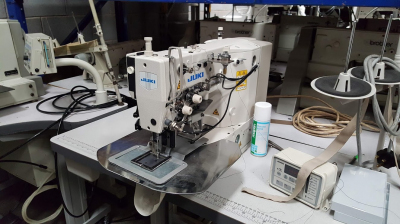 Juki hopper fed button sewer higher production rates with machine fed buttons, suitable for shirt/suit production. 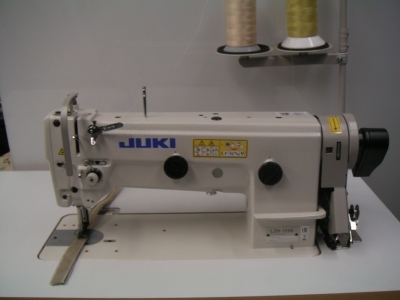 Juki LK-1900B-HS Heavy duty electronic bartack machine. 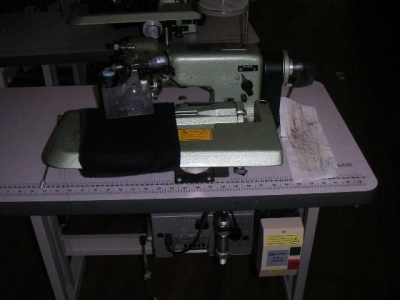 Machine is intended for heavy duty bartacking operations webbing etc. 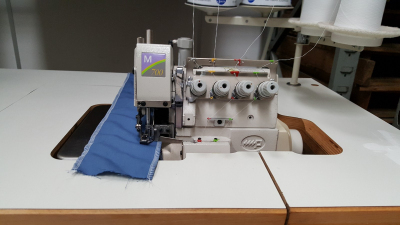 Machine is in excellent condition having done very little work and is ready to plug in and sew. 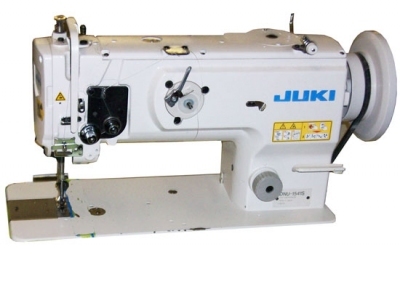 Juki LK-1942GA Electronic pattern sewer for heavy duty work. 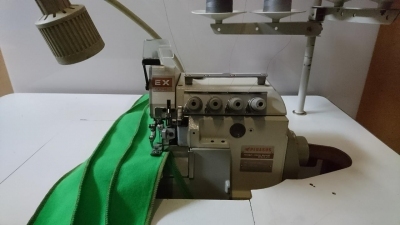 Machine is in excellent condition having done very little work and is perfect for flag stitching operations or whatever you need within the field of the machine. 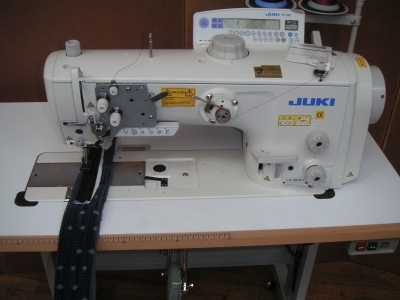 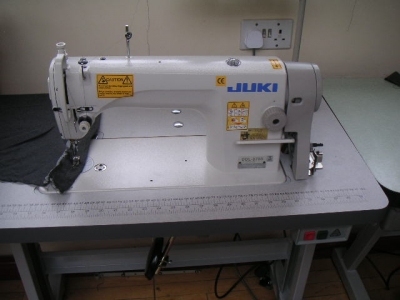 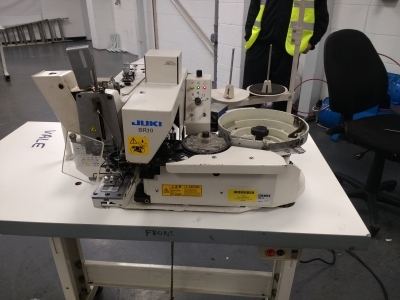 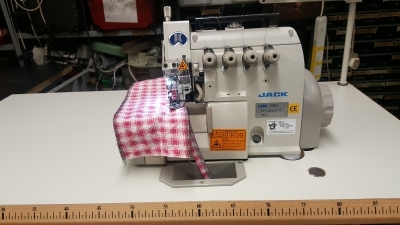 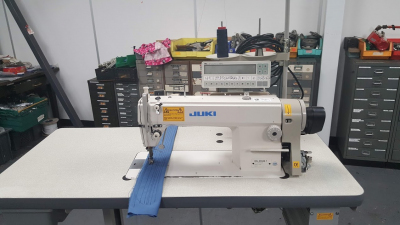 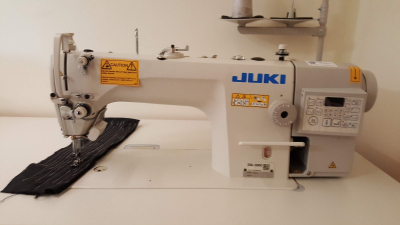 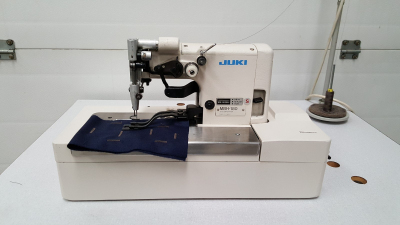 Juki MBH 180 sham buttonhole machine.Tthe machine is in great condition looking and sewing perfect. 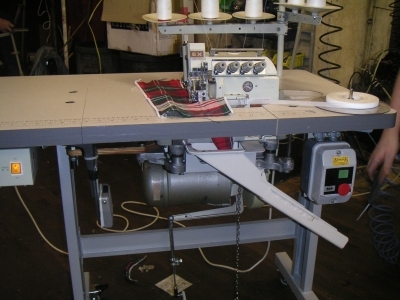 The machine is mounted on a swivel bench so can be moved to either orientation. 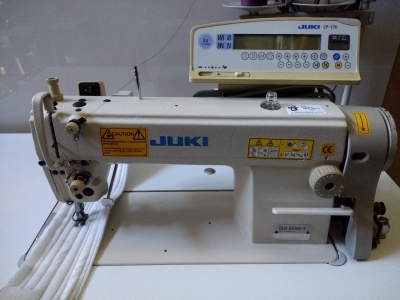 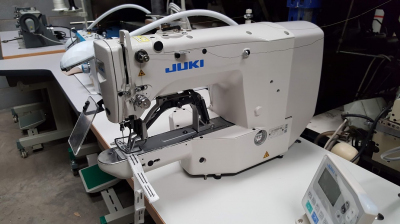 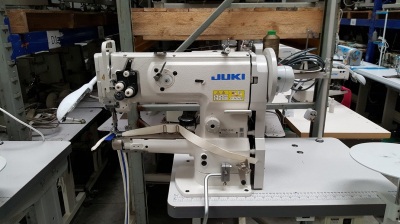 A JUKI MS192 FEED OFF ARM MACHINE FOR LAP SEAMING SHIRTS&OTHER LIGHT TO MEDIUM WEIGHT MATERIALS,COMPLETE ON CANTILEVER UNIT WITH 1PH.ENERGY SAVING/SILENT RUNNING MOTOR,SUITABLE FOR HOME OR FACTORY USE,READY TO PLUG IN AND SEW. 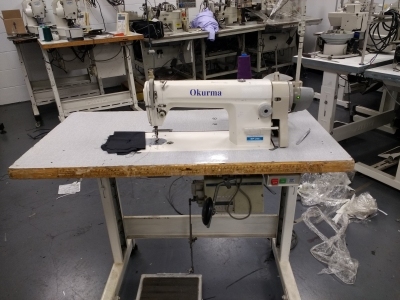 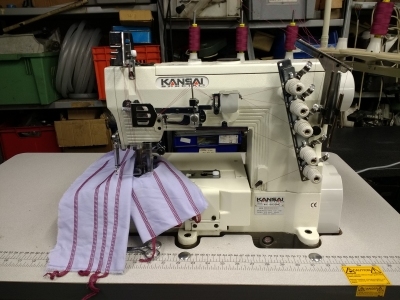 A KANSAI 3 NEEDLE TOP&BOTTOM COVER STITCH MACHINE COMPLETE ON UNIT WITH 1 PHASE MOTOR SUITABLE FOR HOME&FACTORY,THIS IS A REPOSSED MACHINE ONLY 1 MONTH OLD,IT IS LITERALLY BRAND NEW. 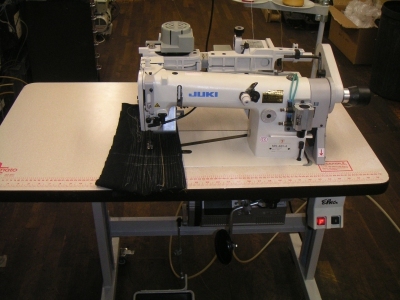 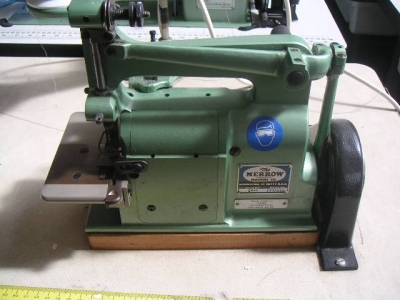 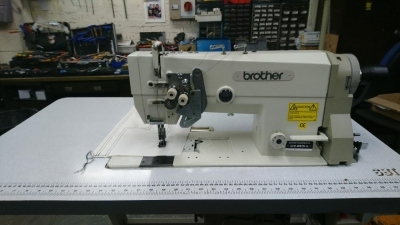 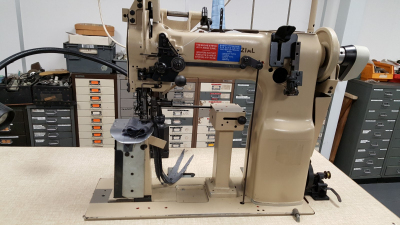 Maier 221 basic blindstitch machine complete on single phase unit with clutch motor ready to plug in and sew. 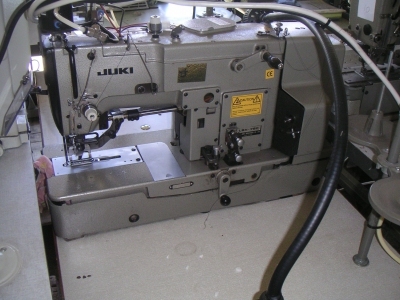 Metro special 9175, same as durkopp 697 machine. 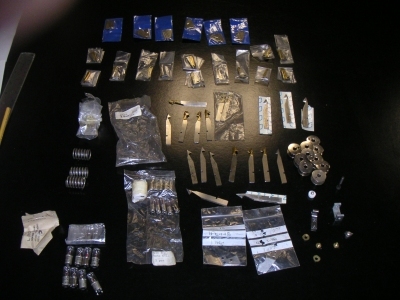 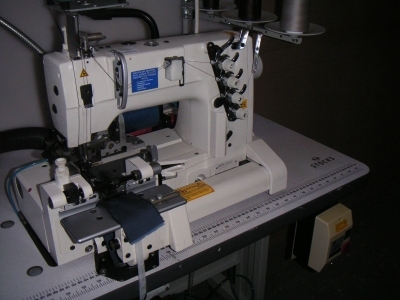 In good condition, thread trim functions. 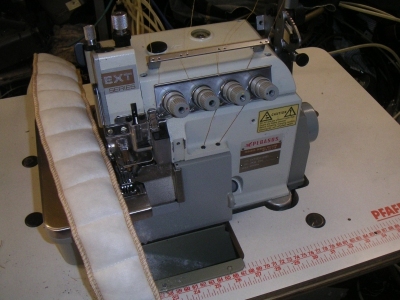 sewn off ready to plug in and sew. 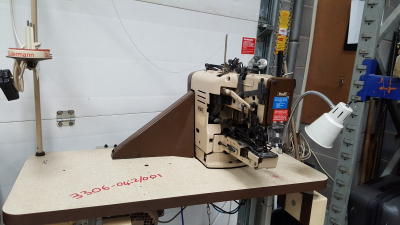 Mitsubishi Walking Foot, compound feed machine in good condition. 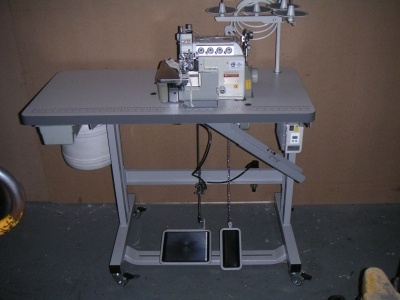 Machine is complete on the unit with single phase 240V clutch motor all in good working order. 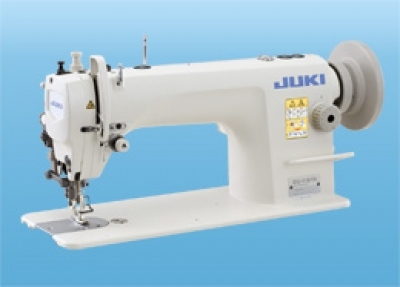 Machine suitable for heavy materials and sewing on thicker works. 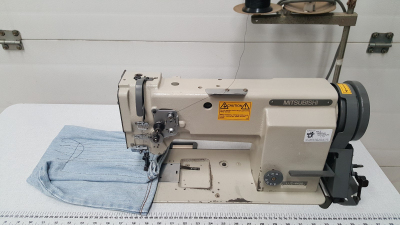 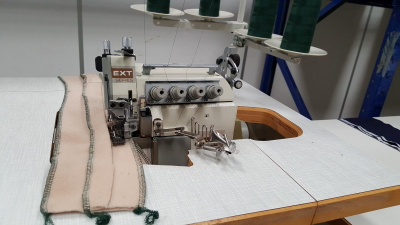 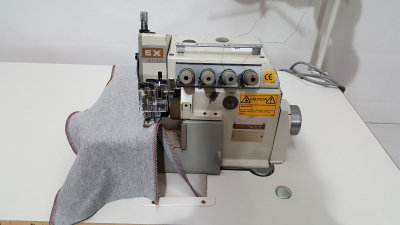 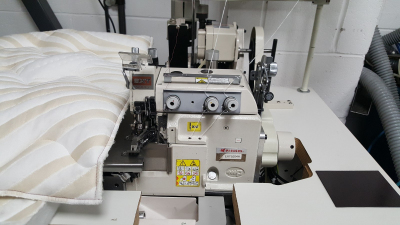 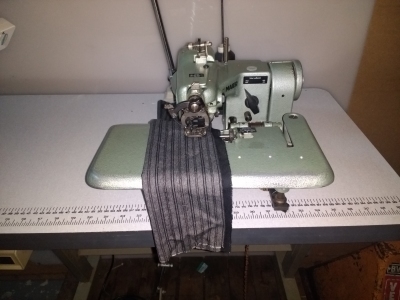 Pegasus EX 3 thread overlock in excellent condition perfect for overlocking operation in excellent condition as can be seen in the pictures. 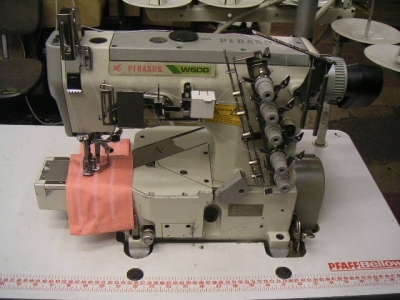 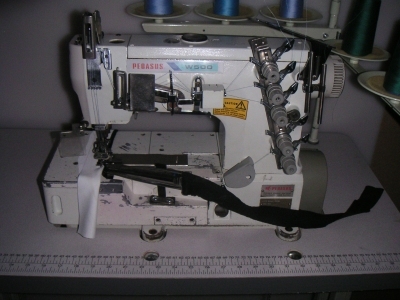 Pegasus M700 series 4 thread Overlock. 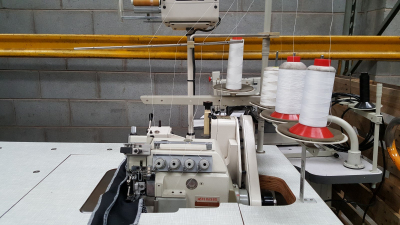 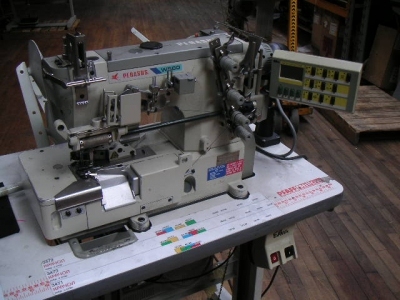 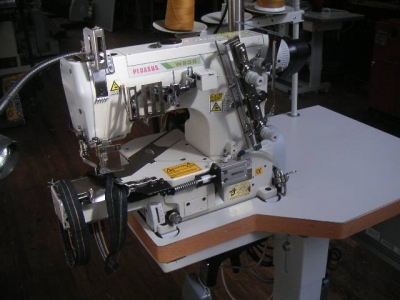 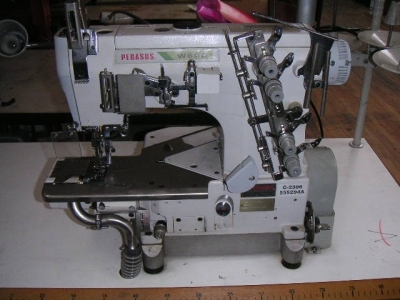 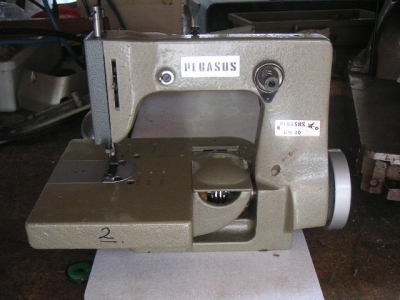 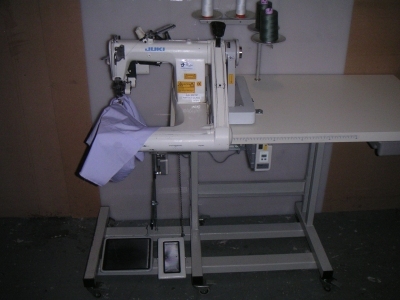 Pegasus M series Overlock in excellent condition, 4thread machine that looks, sounds and sews like new. 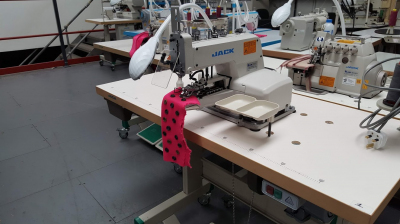 Machine is in a fully submerged unit and is ready for production in our showroom. 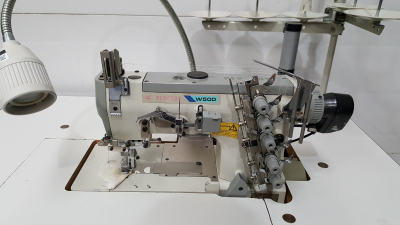 Pegasus W564 coverstitch machine in excellent condition with Air footlift and threadtrim functions. 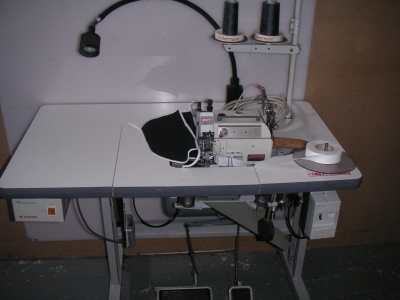 Machine is ready to plug in and sew. 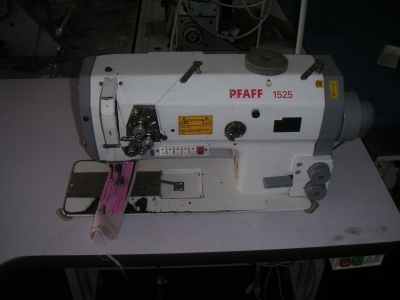 A PFAFF 1525 MACHINE HEAVY DUTY WALKING FOOT FULL OPTION,SUITABLE FOR HOME OR FACTORY 1PH. 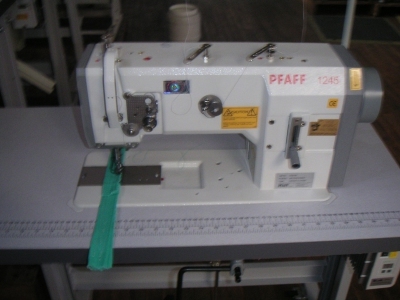 Pfaff 3306 042/001. 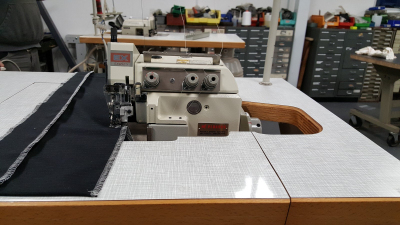 Chainstitch button sewer complete on unit.